Skinny guys have a hard time building muscle mass and gain weight, fact is everyone is different and our bodies assimilate calories from food we eat differently. For example, skinny guys have a really fast metabolism, this is why they stay lean no matter how much they eat or how hard they train, but there is still hope for them. These people should focus on compound exercises 2-3 times per week and eat nutrient-dense foods every 3 hours or so. Using a weight gainer will definitely help them as well as it's not easy to eat 4-6 meals everyday. 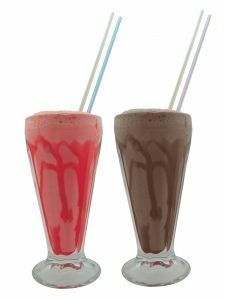 Weight gainers can be used as meal replacement or post-workout recovery shake and the great thing about them is they are handy, convenient and fast to prepare. 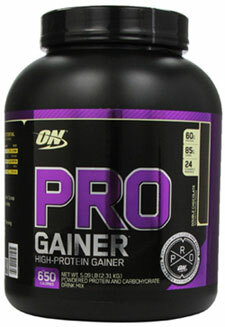 The best weight gainer for skinny guys is one which is not only loaded with calories but quality calories. Not all calories are created equal, for instance 100 calories from rolled oats is not the same as 100 calories from donuts. The oats are more nutrient-dense and nourishing whereas the donuts are mostly empty calories meaning not much nutritional value. Any weight gainer can claim 1,000 calories per serving but if most of these calories are coming from carbs, fats and sugars, they are pretty much useless for gaining muscle mass. In the long run, you'll gain more fat rather than muscles. 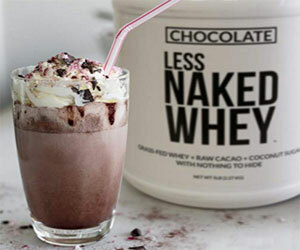 60 grams of quality protein per serving to build solid muscles. 85 grams of carbohydrates to replenish energy levels. 24 vitamins and minerals to boost immune system. 5 grams of dietary fiber to keep your digestive system healthy. Only 6 grams of sugar and 4 grams saturated fats. Superior protein blend of whey, casein and egg - whey protein isolate, whey protein concentrate, calcium caseinate, egg albumen. Mixability is great with either blender, spoon or shaker. A weight gainer like Optimum Nutrition Pro Complex Gainer is effective post-workout to repair and rebuild damaged muscle tissues and replenish depleted glycogen stores. This is a great time to have a weight gainer as your body is starving for nutrients and a post-workout weight gainer shake will restore your body to anabolic mode (building muscle). Skipping post-workout nutrition after a grueling workout will shift your body's mode to catabolic (losing muscle) but if you eat a solid meal after say 2 hours, you'll still be fine and gaining muscle again. Muscles are made up of protein which are amino acids, so if you want to keep your body anabolic, it will need a regular supply of amino acids. To maximize muscle gains, you need to feed your body properly post-workout and nutrient timing helps. Actually there is quite a debate on this issue on bodybuilding forums whether a post-workout shake is important or not but I believe if your body is hungry for nutrients post-workout, why let it starve and wait for 1-2 hours before having a solid meal meaning no post-workout shake. Anyway, a post-workout shake is simply a liquid meal which gets digested faster than a solid meal and it's refreshing to have a drink after exercising instead of eating. So there is really no reason to skip the shake. Having used supplements, I know what I'm talking about. Consuming protein and carbs in a liquid state a few minutes after a workout definitely helps a lot in re-energizing your body. If I wait let's say 1-2 hours before having a solid meal and bypass the shake, I just feel my body going into catabolic mode and I also feel weak and tired. There is no need to consume your weight gainer shake immediately post-workout if you can't, within 15-30 minutes is still ok, then after 2 hours, you can have a solid meal. Final Verdict: If you're having a hard time getting enough calories from whole foods, a quality weight gainer like Optimum Nutrition Pro Complex Gainer will definitely be of great assistance to increase your calorie intake and make you gain lean muscle mass. In terms of flavor and taste, the double chocolate tastes pretty awesome.